The “old man” of trading systems, trend following is the classic approach employed by some commodity indexes, billion dollar hedge funds, and the infamous “Turtles”. Trend following systems generally operate on a portfolio of commodity markets across the grains, energies, metals, softs, interest rates, and currencies. They continuously monitor each market, waiting for each one to “break out” of its normal trading range and begin a long term trend. The system attempts to ride these trends as long as possible. With huge, multi-year trends like Crude Oil going from $60 to $120 and Euro Currency futures moving from 1.50 down to 1.20 – the allure of trend following systems is easy to see. There are many pros to trend following, including: the ability to ride the sometimes months long trends which do develop in commodity markets from time to time, following several markets and commodity sectors, a variable risk per trade based on the distance between the breakout level and the moving average, and fact that a form of trend following is used by some of the largest commodity trading advisors in the world. The number one con, however; is the drawdowns which can be associated with trend following. 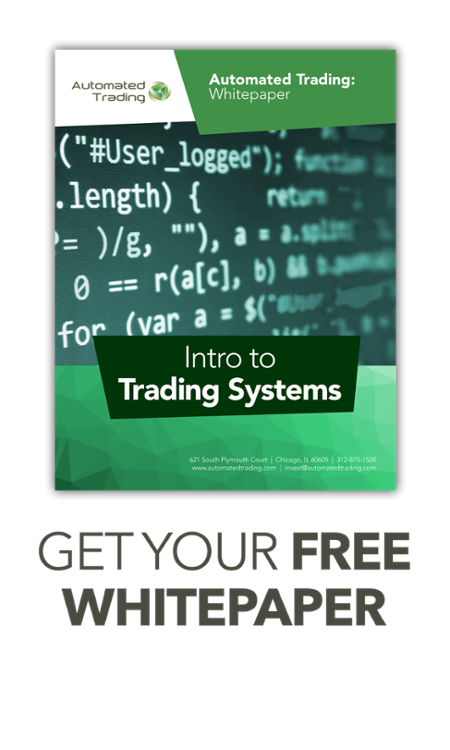 Trend following systems are known for taking numerous small losses during false breakouts, in exchange for large (but rare) large winning trades when markets do trend. For most individual investors, those periods of small losses can prove psychologically overwhelming. Another con is that trend following trading systems usually require larger minimum investment amounts, so that there is sufficient capital to put on trades in several markets should trends emerge and have enough margin to hold those positions overnight.